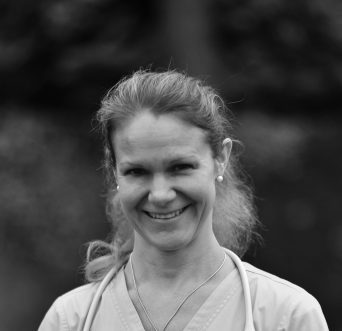 Lorna qualified from London Royal Veterinary College in 2003 and worked for 5 years in mixed practice in Hampshire before joining the Willows in 2008. Lorna loves the challenges of the job, developing relationships with clients and working with such a dedicated team at Hartford. Her particular interests include Laparoscopic surgery, ultrasound, and feline medicine. At home, Lorna has 2 beautiful cats. Frostie was a pregnant stray that Lorna rescue over 10 years ago, and when the kittens arrived she couldn’t resist keeping one. The kitten was named Harley, and now all grown up enjoys spending his time outdoors and hunting. Thankfully for Lorna (and the mice and birds), Harley’s hunting skills leave something to be desired but at least he gets some exercise.